Many Clinton Township drivers probably don't think of their shock absorbers as an important safety system; but that's just what shocks and struts are. They're all about ride control – keeping your vehicle tires in contact with the road and managing body motion. Every time you hit a bump or pothole on a Clinton Township road, your tire wants to bounce up. The bigger the bump, the higher the bounce. Your shocks or struts push down on the tire to maintain the traction you need to start, stop and turn. If you've ever ridden in a vehicle with bad shocks, you know how it wallows on corners. The front end dives when you hit the brakes and the rear end squats when you accelerate. It's not only uncomfortable, it is difficult to handle. You may have heard vehicles described as having “flat cornering." That means that when you take a corner, the body doesn't roll very much. 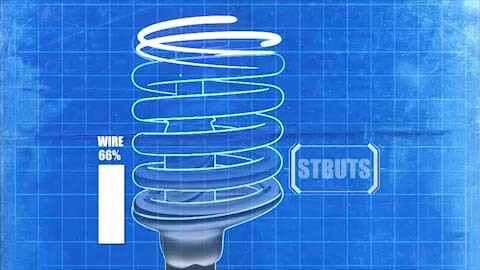 When shocks start to get worn, your vehicle will roll more on corners. The weight of your vehicle's body shifts and tosses your vehicle to the outside of the turn, making it harder to control. With good shocks, you can turn corners with confidence. When the shocks are bad, the body rolls too much and you need to slow down to maintain the same level of control. When you have to combine brake dive with body roll, you can quickly end up with an unsafe handling situation. Shocks can break or start to leak, but they usually just wear out. After all, your vehicle shocks will move up and down over 75 million times in 50,000 miles/80,000 km. If you replace shocks at Auto Pro Clinton Township in Clinton Township, it will restore your vehicle's original ride control and quality. You can even upgrade shocks and struts if you want better handling or towing capacity on Michigan roads. Shocks are an important safety system: don't wait until they are completely shot, perhaps risking your safety or damaging other suspension components. At Auto Pro Clinton Township we can help you with quality shocks and struts as advised in your owner's manual, usually at around 50,000 miles/80,000 km, for a comfortable, safe handling ride in Clinton Township.